How Can SMEs Attract And Retain Talent? 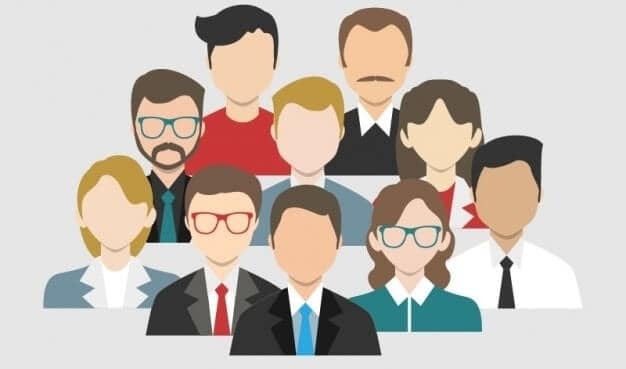 Home Blog Posts How Can SMEs Attract And Retain Talent? SMEs also known as small and medium-sized businesses are businesses that are characterized by the number of their staff, which could range anywhere from 1 to 200. SMEs usually form the majority of most countries’ businesses and makes up 99% of Singapore’s companies. SMEs have an edge over bigger businesses because of their flexibility and more relaxed rules and work atmosphere, but attracting employees and actually getting them to stay can be a serious struggle competing with the big competitors out there with attractive perks and a nice brand name on the CV. Any business worth its salt has to be able to attract and retain the best talent available in the labor market. But how can we get them, and how do we make them stay? It doesn’t matter the size of the business: any business we own is our brand. When you are recruiting staff for your small business, you should highlight what your business does and how we go about doing what we do. It is important to paint our company in the best light possible when we place ads to hire staff. The job descriptions need to be clear, specific, professionally written and aimed at that particular audience we are trying to attract. The benefits of working in your company need to be outlined for potential staff to see and know what they can get by working with you. Your company culture also needs to be enunciated. Many SMEs make the mistake of thinking that the only things necessary for a hiring ad are the job description, and this is wrong. If my company has this perk where we have pizza in the office every Friday, advertise that, if not, how will they know that they are walking into that before the interview? Make your company attractive to prospective staff, while still keeping it real, honest, and straightforward. After getting people to answer the job vacancy ads, the next step is the interview. During this stage, we need to be very candid with our prospective employees about what we require of them as employees. This doesn’t mean that you have to adopt a stern demeanor when interviewing. No, we aren’t trying to scare them stiff. Rather, we are trying to let them know that we value their skill set and would like them to use those skills in specific ways, for the personal development as well as the success of our business. You need to tell them what is expected of them, and inform them of how your offices work, while still maintaining and easy-going manner that is still professional. Also, asking them about themselves is a great way to put them at ease, and give us the opportunity to assess them on a more personal level. Workaholics tend to tire easily, have reduced productivity, and little to no social life. This is not good for business. The major edge SMEs have over bigger companies is our flexibility: You can bend the rules when you feel it is necessary. Do not over-work employees, before tired employees become former employees. Encourage them to go out more, relax more, take the time to look after themselves. In the work place, organize take-out Fridays were everyone in the company gets takeout and sits around for thirty minutes, doing nothing but eating and bonding with each other. You should also let your staff be creative and innovative, encouraging them to think our of the box, looking for more effective ways of operating the business. This will let them know that their opinions count, and will go a long way towards retaining staff. Happy employees are productive employees. Encouraging good work by showing them their career progression paths, and how much closer they are to a promotion, is a great way to show your staff that you appreciate them. Praise them whenever they do a splendid job on a certain task and give constructive criticism when they have done something wrong, and this should be done in private. Apprenticeships, volunteering, internships, and part-time jobs are a great way to provide value to people by training them, and at the same time giving us a wider pool of skilled labor to choose from. Offering apprenticeships give you a chance to develop others, who may be prospective employees in the future. I will also offer existing managers insights on how to manage millennials whom will form the bulk of future employees. Flexibility in hiring allows for part-time jobs, where you can get students to work for your company part-time, and they successfully get some credits at school for the work experience they have gained. Look into training and retraining among existing employees. In-house refresher courses are the best way to motivate employees while adding in new knowledge. You do not need a big budget like MNCs do to hire external training vendors and consultants. In fact, senior staff or management personnel could take turns conducting monthly internal training to drill all employees on new updates and refresh existing processes. These methods can be successfully applied to a SME’s overall HR policy and enable you to attract talented employees and retain them as well. In the economy slowdown that we are currently facing, many bigger companies could be reorganizing their operations and freezing headcount. During such times, it is a good opportunity for SMEs to access talent or experienced industry professionals that are usually out of reach. If you have expansion plans and require more headcount, working capital could be a concern. There is a 1 to 4 month ramp up period before new staff are assimilated to company’s workflow and culture. Positive ROI on your recruitment drive could only be realized few months to a year down the road as the company begin executing expansion plans. To deal with this issue, a small business term loan with tenure between 1 to 3 years could be undertaken to help with working capital. This fund can be deployed towards recruitment costs as well as the initial months when new staff are not ready to be productive members of the team yet. You can compare all business loans Singapore within our site with our free loan assessment tool. With more clarity on loan options available, you can then make informed decisions on the recruitment and HR strategy you can undertake going forward. Pingback: Which business functions to outsource and which to keep in-house?